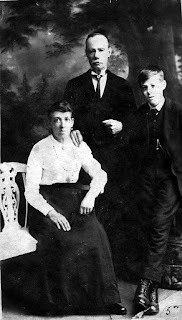 In my last few blogs I wrote about Generation Three: my gggrandfather and his siblings. Now we can move on to the next generation – my ggrandfather and his siblings who were children during the famine in Ballyduff, apart from Mary Ann who was born in Poplar. While migration to anywhere was a major upheaval, at least in relation to England it could be planned in a sensible way as long as you had the resources. Family members went ahead to reconnoitre the new territory. I have also been told that those in England stayed in touch and periodically travelled back to see the family in Ireland, funds permitting. 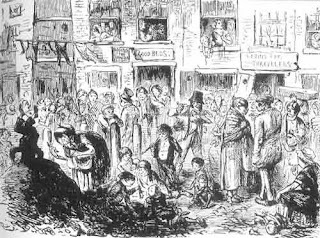 Thomas and Ellen appear in Orchard Place, St Marylebone parish in 1851 in an area totally dominated by Irish including other Donoghues. But where were Thomas and Ellen’s children? I suspect they must still have been in Ireland, or somewhere else in England, waiting for their parents to fetch them. 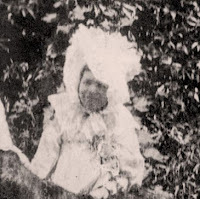 Eldest daughter Julia was 17 in 1851, so old enough to look after them, or perhaps they were staying with their grandmother in Ballyduff. On a later census (1901) Julia stated that her birthplace was Dublin – I suspect she may have thought she was answering the question ‘Where did you come from?’ I wonder if Dublin was where they took the boat to Liverpool and then travelled down to London by train. I have described before the awful conditions in which they were forced to live. I have no picture of this couple but I think we can get a sense of Julia at least in later life by comparing her grandmother with two of her nieces. The only person I have met who knew Julia was Kate Hosford (née Phillips). The Phillips family grew up in our Cotton Street and the two families were in and out of each other’s houses. Kate and I corresponded for many years and I visited her in Leigh-on-Sea. She was a lovely lady and really interested in what I was trying to do. Kate recalled visiting Julia with her father on a bus in about 1918-19. She said that she was tiny (as was her grandmother, Julia) and very religious. Julia was living in Hackney Wick at that time. 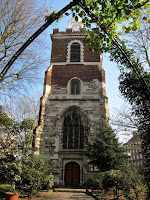 “In about AD 952 the Bishop of London — who is also Lord of the Manor of Stepney — replaced the existing wooden structure with a stone church dedicated to All the Saints. In 1029, when Dunstan was canonised, the church was rededicated to St Dunstan and All Saints, a dedication it has retained. 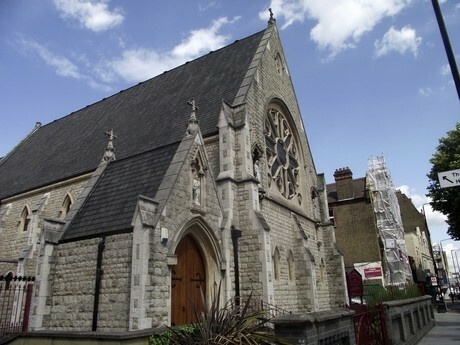 This is an Anglican church so Julia, as we are told a devout Catholic, and the family, must have gone through some adjustment to be married under the Protestant faith. At the time Julia was living at 3 Sophia Street which is where the family settled on arrival from Ireland. She signed the register with her mark so, at least in English, she was illiterate. In Ballyduff she was almost certainly taught in Irish. By contrast her brother, Thomas my ggrandfather, when he got married in 1865 was able to read and write in English having been educated mainly in Poplar. Julia and her three daughters got married at different churches in Poplar so I have shown their history and a picture as we go along. John Carrington was living at 8 Well Street. I am unable to establish whether this is Wells Street in Poplar or Well Street in Stepney. On the marriage cert John’s father, George, is described as a veterinary surgeon. It does not say whether he was deceased or not. I can find no obvious reference to George and John prior to this marriage or after. They are a bit of a mystery. At the time of their marriage John was described as a labourer. In 1858 he was working in the docks but by 1861 he had become an engine driver. I know no more about him. I sense that Julia was a formidable woman, as was her grandmother of the same name. The East End of London was a pit of disease from the moment our family got there: poor sanitation, polluted water, crowded dwellings. Typhoid, influenza, smallpox and cholera were endemic. During the early 19th century the River Thames was an open sewer, with disastrous consequences for public health in London. 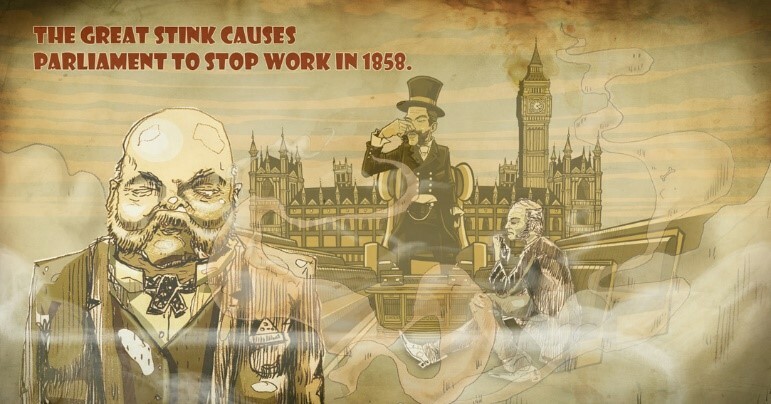 Although the contamination of the water supply was correctly diagnosed in 1849 as the method of communication of cholera, it was believed that miasma, or smell, was responsible right up to the outbreak of 1866. Proposals to modernise the sewerage system had been made during 1856, but were neglected due to lack of funds. However, after the Great Stink of 1858 when parliament had to be closed, the government realised the urgency of the problem and resolved to create a modern sewerage system. Joseph Bazagette, a civil engineer and Chief Engineer of the Metropolitan Board of Works, was given responsibility for the work. He designed an extensive underground sewerage system that diverted waste to the Thames Estuary, downstream of the main centre of population. It was finally officially opened on 13 July 1870. We still use much of it today. In London in June 1866, a localized cholera epidemic in the East End claimed 5,596 lives, just as the city was completing construction of its major sewage and water treatment systems; the East End section was not quite complete. Cholera hit Britain in October of 1831 reaching London in 1832 with subsequent major outbreaks in 1841, 1854 and 1866. In 1866 in Britain cholera reached pandemic proportions, with the East End of London being attacked with extreme ferocity. The reason I am relating all this is because Kate Hosford told me that Thomas O’Donoghue said that Julia went into the streets of London and attended the sick and dying during 'the plague'. I imagine that this was during the 1863-66 cholera epidemic. My Uncle Len also said that she had nursing skills and Kate that she worked in a mental hospital. There was a St Andrews Hospital in Bromley-by-Bow so perhaps that was it. However, HoeHher main occupation, stated in two censuses, was that of a laundress. Perhaps she actually did that in the mental home and helped on the wards. In addition, in this period, she lost a daughter in 1862, her father from typhoid in 1863, another daughter in 1864 and then her husband from heart disease in 1866. Julia lived a long life, dying in 1921. To go out and help the sick when she was in such pain herself speaks volumes for my ggreat aunt. I imagine that, as the eldest child, she was actually the family fulcrum. In 1871, after her father had died, she was living in 3A Market Street with her children, mother Ellen, sister Catherine and brother John. Her ten years younger brother, Thomas my ggrandfather, was living round the corner in Charles Street with Mary, his wife and two little children. Where Mary Ann, her youngest sister aged 19, was I have been unable to ascertain, but the family clearly stayed in close proximity. In 1881 Julia was in 14 Market Street with her mother, sister Mary Ann, her brother and her youngest daughter Christina. Thomas was still very close in New Street but sadly Mary, his wife, had died. John and Julia had five children and all girls. I remember thinking when I first found them that they had been given really nice names. 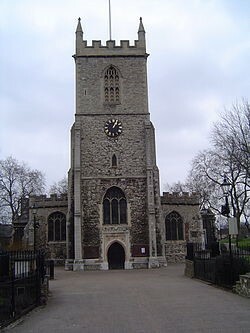 In 1311, the residents of Bow became sick of trudging through the mud each winter to get to the parish church of St Dunstan’s over in Stepney, so they raised money to build a chapel of ease upon a piece of land granted by Edward II ‘in the middle of the King’s Highway.’ Seven hundred years later, it is still there and now the traffic hurtles past on either side, yet in spite of injuries inflicted by time, the ancient chapel retains the tranquillity of another age. Samuel Hayes was a boilermaker. They had eight children, all boys. I have tried to make contact with a descendant of their daughter, Clara, whose tree I found on Ancestry, but so far without success. Saint Mary's originated as the Lady Chapel of the Benedictine convent of St Leonard, which had been established by the reign of King Stephen (1135-54). 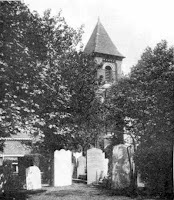 The convent was disbanded in 1541 but the chapel remained in use, becoming a parish church. The building was reconstructed during the nineteenth century but was subsequently damaged during the Second World War. The ruins were demolished to make way for the Blackwall Tunnel approach road. Catherine Ellen (b.1863) died in 1864. Christina Laura (b.1864) married William Kennedy (b.1859 in 1886 in the Catholic Our Lady and St Catherine of Siena, Bow. The parish of Bow was founded in 1868. The church was built in 1870. Christina was the only member of the Carrington family to be married under the Catholic faith. The Kennedys must have been good Irish Catholic stock, who I am told were from County Mayo. They had eight children with three boys William (b.1892), Samuel (b.1896) and Peter (b.c.1904). The photo right is Christina and William with Samuel. 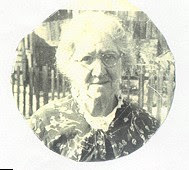 Since I started this blog I have made contact with a descendant, Jeannette Bell, great granddaughter of Christina and William Kennedy and what follows includes what Jeannette has told me. Our dialogue is ongoing. 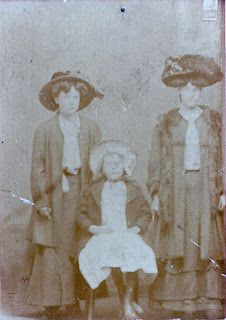 We believe this photo is of Julia’s three daughters: Clara, Mary and Christina. Kate Hosford remembered the Kennedys as cousins of her mum, Mary Ann, or at least she recalled a Will Kennedy. In 1891 they were living in Morris Road, Bromley St Leonards and Julia was with them, but by 1896 they had moved to Hackney Wick and by 1911 they were living in 30 Prince Edward Road. In 1914 war broke out. William would have been 22 and Samuel 18. Kate Hosford gave me these two photos years ago and I wondered who the soldiers were. The one on the left has Mrs Cosson, 30 Prince Edward Road on the back. Their sister, Catherine (shown as Mary Katherine on the census), married William Cosson, and in 1911 they were all living at the same address. This is Samuel. The soldier on the right is Will, as he was known, as there is a signed message on the back. 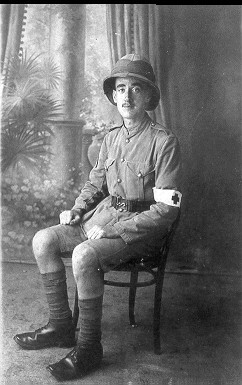 He was a stretcher bearer and in Egypt at the time. Christina died in 1941 at the age of 77. 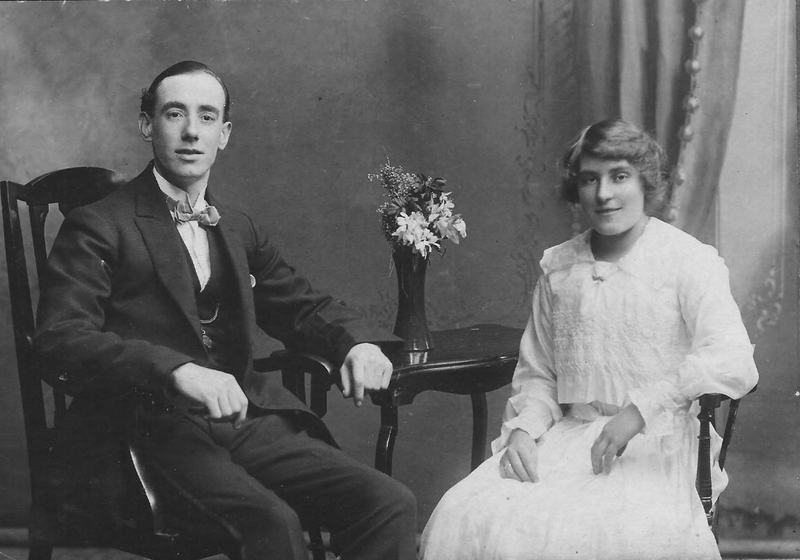 Samuel married Jenny Southgate (b.1899). This is thought to be an engagement photo. Samuel worked for Clarnico in Hackney as a carpenter for fifty years.